Taffy (Robert) Seaborne has rich life experience in Central Australia, the forests of Victoria, on the oceans of the world and in his childhood Land of wales. He emigrated to Australia in 1967. Taffy’s life long learning made what was for him a radical change in direction during an eight year period (1990-98) of living and working with the Anangu traditional owners of Uluru. In his position as Manager of this World Heritage property, Taffy participated in the successful re-nomination of Uluru as a World Heritage Area on the basis of its cultural values. In Taffy’s words: “on reflection, my time at Uluru turned out to be my desert pilgrimage, an experience that profoundly changed my mind”. 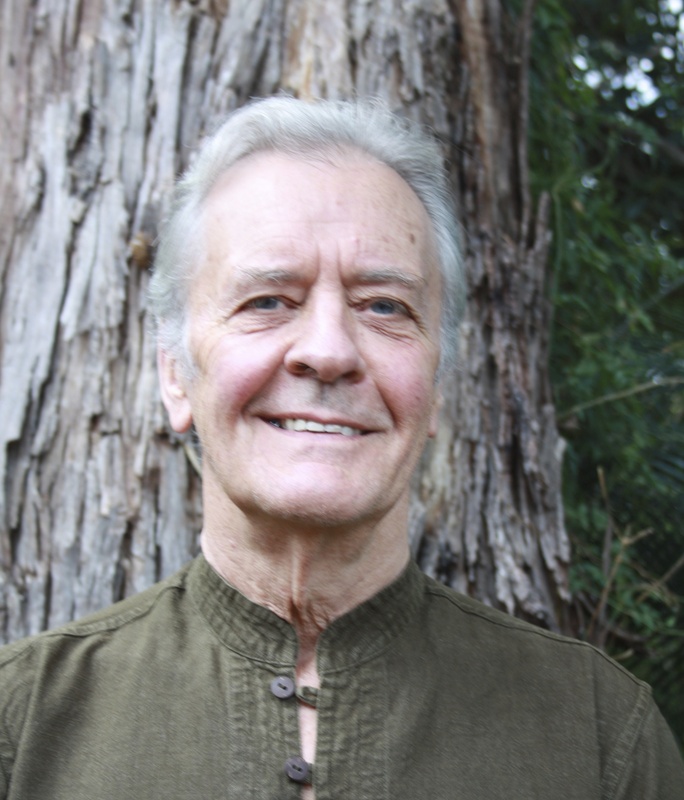 Taffy’s experience of deepening into Australian sacred sites provided the foundation and inspiration that led him to study Social Ecology at the University of Western Sydney (Hawkesbury) and into relationship with his beloved Glenys. Together Glenys and Taffy, through continued ceremonial practice of the seasonal Wheel of the Year with an open community, and each in their own fields, are always learning more of the Mystery: that we are this Place, this Cosmos, this Earth, as old and dynamic as She, and that we are the seeds of the future. Together Glenys and Taffy built a MoonCourt – ceremonial and teaching space – at their Place, “Bru-na-BigTree”. Taffy also co-ordinated an organic fruit and veg distribution co-op from MoonCourt, and they cultivated a food garden. In December 2018 he relocated with Glenys to her homelands in Queensland, where they see and help her mother more often.